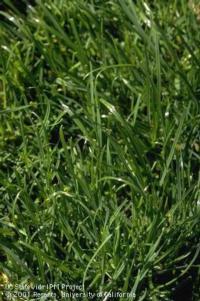 Success or failure begins with a choice of grass species that suits your site conditions and maintenance capabilities. How much wear tolerance do you need? Is your site in full sun or shade , or do you have both conditions? How much heat and drought tolerance would you like? What is the quality of your water? Do you need something that establishes quickly? What height is required for the intended use? The following FREE publications contains a selection guide for turf type by use and conditions, and quick ID keys to the most common species in English and Spanish. ONLINE GRASS IDENTIFICATION KEY HERE.